Using the pseudonym Samuel, Chris Lancaster is a setter of crosswords for The Listener series in The Times, the Enigmatic Variations series, the Inquisitor series and for The Magpie. He was also the creator of the Listen with Others website, which is now run by Dave Hennings. Lato is the pseudonym of Jim Toal for crosswords in The Listener series, the Enigmatic Variations series in the Sunday Telegraph, and the Inquisitor series in The Independent. Lavatch is the pseudonym of James Brydon for cryptics in The Spectator, The Listener series, and Genius crosswords on The Guardian website. Lavengro is a former setter of cryptic crosswords in The Guardian. As Hectence, Wendy Law is a setter of Quiptic crosswords on The Guardian website. She began setting puzzles in 1999. She is also a Manchester City fan, a guinea pig keeper and a cinema lover. Mike Laws was born on 28 September 1946. He died on 19 May 2011, at the age of 64. From the mid-1970s until his death, he was a very familiar figure on the crossword scene. At various times he set puzzles under a variety of pseudonyms or anonymously for several publications, including: The Times; The Daily Telegraph; The Guardian (as Fawley); the Financial Times (as Darcy); The Independent (as Yorick); The Sunday Telegraph; and the Weekend Australian. He set crosswords in The Listener series (as Jude and Fawley), and Inquisitor crosswords (as Ikela). Between 1995 and his death he also set one in every three Mephisto crosswords in the Sunday Times. He was crossword editor for The Times from 2000 to 2002. 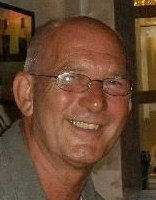 Obituary for Mike Laws on the Independent website. Obituary for Mike Laws on the Times website. James Leonard (1940-2013) was the editor of the Enigmatic Variations series in the Sunday Telegraph, for which he also set puzzles as Rustic. As Mr Lemon, he was a setter of crosswords for The Listener series. As Citrus, he set Toughie crosswords in The Daily Telegraph. James Leonard was born at Barnstaple on May 12 1940, the eldest of three children of a judge, and educated at Eton. He read Mathematics at Christ Church, Oxford, where he showed himself skilled in tennis and rackets. From 1964 until his retirement in 1989 he worked as a broker and underwriter for Lloyd’s. Later he acted as an expert court witness, advising businesses on insurance and reinsurance. A highly talented embroiderer and upholsterer, Leonard was also a passionate ornithologist. Obituary for James Leonard on the Daily Telegraph website. Antony Lewis is the author and developer of the Crossword Compiler software package for crossword construction. Details of the software can be found on his website Crossword Compiler. The pseudonym of Andy Wallace, blogger and administrator of Times for the Times. Using the pseudonym Ploy, Phil Lloyd is a setter of crosswords for The Listener series in The Times, the Enigmatic Variations series, the Inquisitor series and for The Magpie. Loda is the pseudonym of Geoffrey Loder for cryptics in The Independent's Inquisitor series, the Sunday Telegraph's Enigmatic Variations series, The Listener series in The Times, and for The Crossword Club. Geoffrey Loder was born in Egham, Surrey, in 1947, and now lives in rural Oxfordshire. As Loda (or, alternatively, LODgER) he sets cryptics in The Independent's Inquisitor series, the Sunday Telegraph's Enigmatic Variations series, The Listener series in The Times, and for The Crossword Club. Geoff's interests include the stock market, sport and films - all of which have provided inspiration for many of his crosswords. The pseudonym of Don Putnam for crosswords in The Guardian. Lohengrin is a crossword setter in The Independent whose debut puzzle appeared in 2015. The pseudonym of Dean Mayer for crosswords in the Financial Times. He also sets crosswords in The Independent (as Anax) and in The Times. Pseudonym of the late Richard Whitelegg for crosswords in The Independent. Using the pseudonym of Quaiteaux, Regina Lusca sets crosswords in The Independent.